The much anticipated Redmi 5 and Redmi 5 Plus will launch in China on 7th December. The wait is almost over. The much anticipated Redmi 5 and 5 Plus will launch in China on 7th December. Just ahead of the launch, the company has revealed a series of pictures of the upcoming smartphones. The details on pricing or specs aren’t out yet, but both Redmi 5 and 5 Plus will come with slim bezels and 18:9 displays. This is in line with most of the high-end smartphones released this year. But the big difference here will be that the Redmi 5 and Redmi 5 Plus are going to be way more affordable than the rest of them. Redmi phones have always been most successful in India, outside of their home market, China. Though Redmi phones are not Xiaomi’s flagship line, it is a very important series for the company, particularly in India. Their last Redmi offerings in India, Redmi 4, Redmi Note 4 and Redmi 4A were the three most popular phones in the country, as per recent IDC figures. The last Redmi trio (Note 4, 4 and 4A) have played a big role in helping Xiaomi to catch up with market leader Samsung. Quite recently, the Chinese mobile maker has claimed the title of India’s number one smartphone brand. It will have a metal back with the fingerprint sensor located at the back. It will have colour-matched plastic caps at the top and bottom edges to let the radio signals pass through. It will run the latest version of MIUI 9 based on Android 7.1 Nougat. Redmi 5 will sport a new design with an updated internals. The cameras will not see any major change. The smartphone is expected to come with a 12 megapixel rear camera and a 5 megapixel selfie-shooter. It is expected to get a 3200mAh battery which would be sufficient to power it throughout the day. The larger variant, Redmi 5 Plus too will come with narrow bezels like Redmi 5. It will have a bigger 5.9 inch Full HD+ display, with a resolution of 2160 x 1080 pixels and an 18:9 aspect ratio. The smartphone will get its power from a Qualcomm Snapdragon 625 chipset, coupled with either 3GB or 4GB of RAM. It will come with two storage options of 32GB and 64GB respectively. Redmi 5 Plus will sport a metal back with a fingerprint reader on the rear side and will have colour matched plastic caps at the top and the bottom. The smartphone will run the latest version of MIUI 9 based on Android 7.1 Nougat. 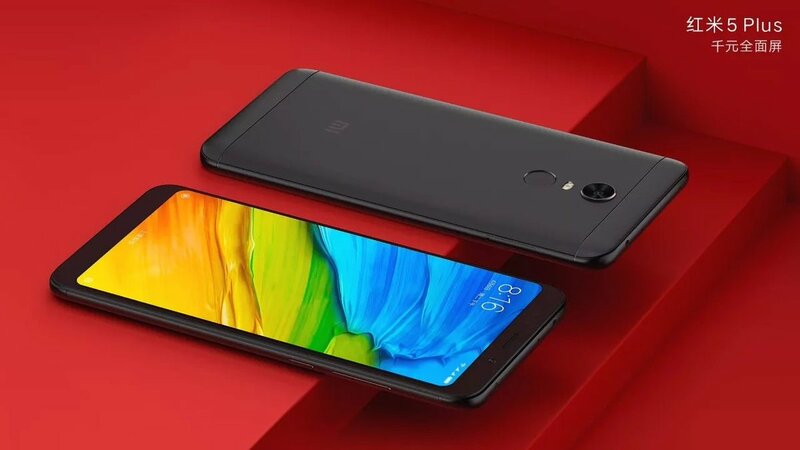 Like the Redmi 5, the Plus is also expected to come with a 5 megapixel selfie-shooter with an LED Selfie Flash and a 12 megapixel primary camera at the back. The smartphone will sport a big 4,000mAh battery. No pricing details are out yet. Xiaomi have just unveiled the Desh ka Smartphone Redmi 5A last week in India. The Redmi 5 and 5 Plus launch in the country might happen within a month or two. Xiaomi has always managed to give best value for money with their smartphones. 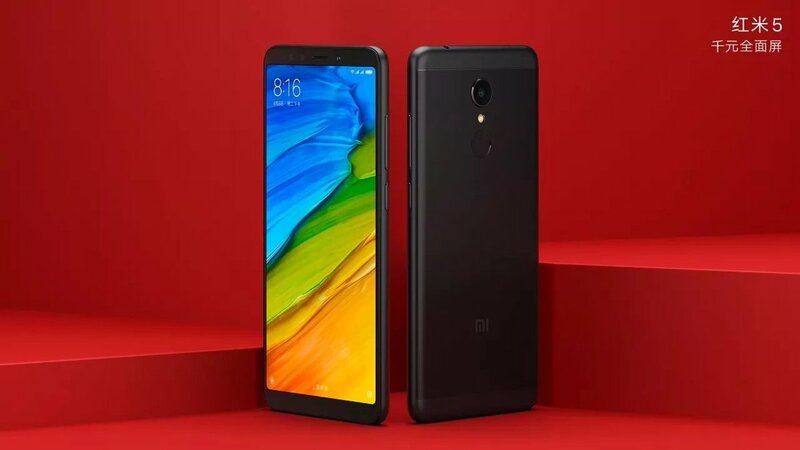 If the company can keep up with their successful online flash-sales strategy, channelise offline distribution and keep its pricing sensible like the Redmi 4 and Redmi Note 4, Xiaomi could have two big hits on their hands again this year. "Redmi 5 & 5 Plus Images Revealed Online; 18:9 Bezel-less Display! ", 5 out of 5 based on 1 ratings.